Following the Canadian debut of the 2018 Mazda6 at the auto show in Toronto, Mazda Canada today announced starting pricing for the significantly updated sedan. The 2018 Mazda6 features new and updated engine options, along with a long list of new equipment and options. Pricing for the 2018 Mazda6 starts at $27,000, and standard equipment now includes the SKYACTIV-G 2.5L engine with cylinder deactivation, the first of its kind on a four-cylinder in North America. The SKYACTIV-G 2.5L with cylinder deactivation is paired exclusively with the SKYACTIV-Drive 6-speed automatic transmission for a smooth and seamless driving experience. Along with the upgrades under the hood, the entry-level Mazda6 GS also includes new standard equipment such as LED headlights, automatic dual-zone climate controls, rear HVAC ventilation, and a larger Mazda Connect screen (8-inch vs 7-inch). Standard safety equipment includes Advanced Blind Spot Monitoring (ABSM), Rear Cross Traffic Alert (RCTA), and Smart City Brake Support (SCBS). New for 2018, the Mazda6 now offers a choice of engines with the addition of the SKYACTIV-G 2.5T with Dynamic Pressure Turbo, producing 227 hp on 87 octane gasoline (250 hp with 93 octanes) and 310 lb-ft of torque from a low 2,000 RPM. 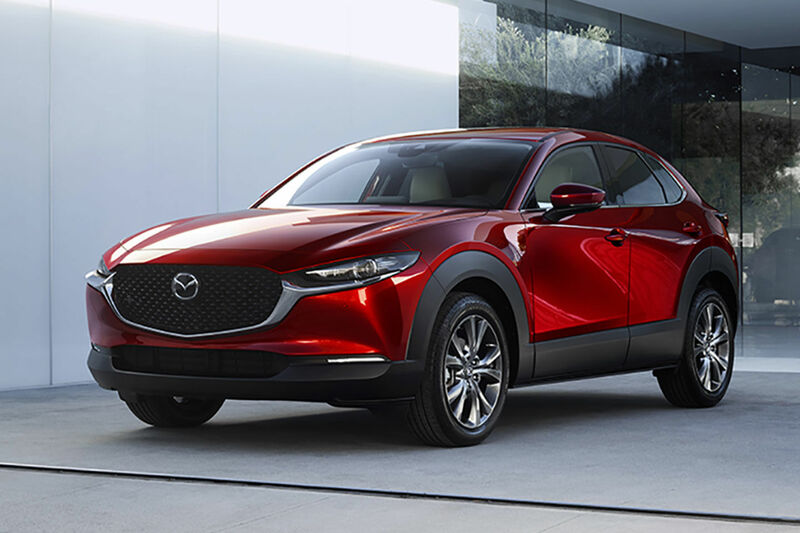 This Ward's 10 Best award-winning engine, first seen in the Mazda CX-9 crossover, is optional in Mazda6 GS-L mid-trim models, and standard equipment starting with GT and the new Signature models. Topping the 2018 Mazda6 range at $38,800 MSRP, the new Signature trim elevates the Mazda6 from its traditional competitive set into a higher class, with unparalleled craftsmanship and authentic materials. Brown Nappa leather upholstery is inspired by the aged wood in ancient Japanese temples; Ultrasuede® with a subtle gold tint adorns the lower dashboard and door panels, using a similar technique to that which is used to make ornate kimonos; and Sen wood accents, a type of wood often used in taiko drums and Japanese furniture, are also found on the dashboard and door panels. Technology is also a Signature highlight, with all-new features added to the Mazda6 such as a Top View Monitor, digital meter set with seven-inch TFT display, and front/rear parking sensors. The 2018 Mazda6 will arrive at Planète Mazda in April. More information including full pricing, specifications, and fuel economy will be released closer to the on-sale date.